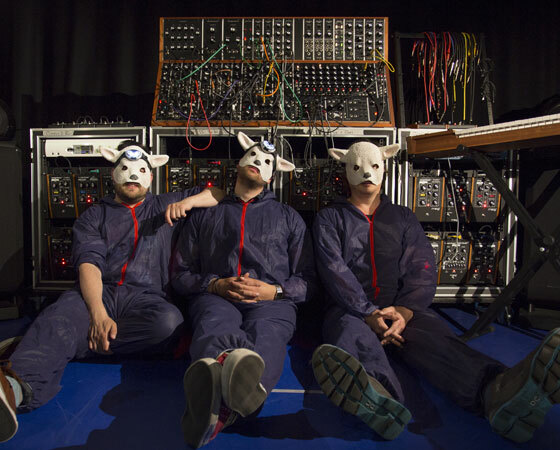 Hosted at Birmingham City University, in partnership with the Supersonic Festival and Moog Music Inc.
Supersonic Festival is delighted to be partnering with the internationally renowned Moog Sound Lab and Birmingham City University to create a four week artist residents programme, which will be based at the Parkside campus. 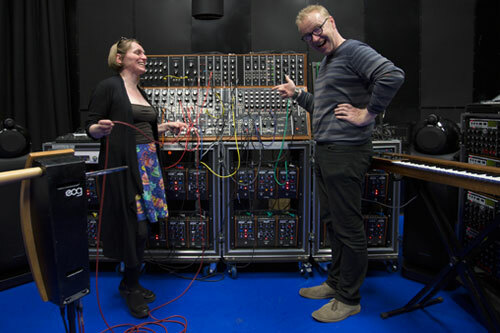 The Moog Sound Lab is focused on organic experimentation and is a unique opportunity for artists to explore analog sound-scaping, synthesis and effects. The lab moves to different venues and was previously Pioneered at Rough Trade NYC. It becomes a temporary residency space, offering a unique opportunity for artists to explore, experiment and create. A physical manifestation of the intersection of music, art and technology, the lab offers a unique resource to artists to make new work. Sarah Angliss, an award winning composer, roboticist and historian of sound. Gazelle Twin, the twisted Cronenberg-inspired persona of producer, composer and artist, Elizabeth Bernholz. Free School are a Birmingham retro-futurist, mask-donning disco duo, exploring a unique fusion of Electro, House, Balearic and Kosmiche. Seán Clancy, Lecturer in Composition at Birmingham Conservatoire will work in collaboration with Thomas Parkes to develop a new composition built from a vocabulary of analogue sources and samples that will explores tensions between found and original material, between narrative and rupture, particularly as these might be seen to correspond to elite and vernacular values. Balandino Di Donato will be exploring the Moog lab via touch less control and sound spatialisation as part of his pioneering research into Integra Live technology. Mike Dring will produce a new soundscape based on his interdisciplinary interests from architecture to glitch art. He takes inspiration through field recordings or through interpreting the pattern of movement prescribed by the built environment. Jason Nicholson reworks the principles of The Harmonograph to produce exquisite physical drawings that seek to illustrate the relationship between musical frequencies, mathematics, art, design and new and existing technologies. Andy Pilsbury will be developing, Helix, a new interactive online platform that allows users to participate in a multifaceted art project combining high-speed photography, moving image and ethereal soundscapes to create surreal flourishing landscapes.